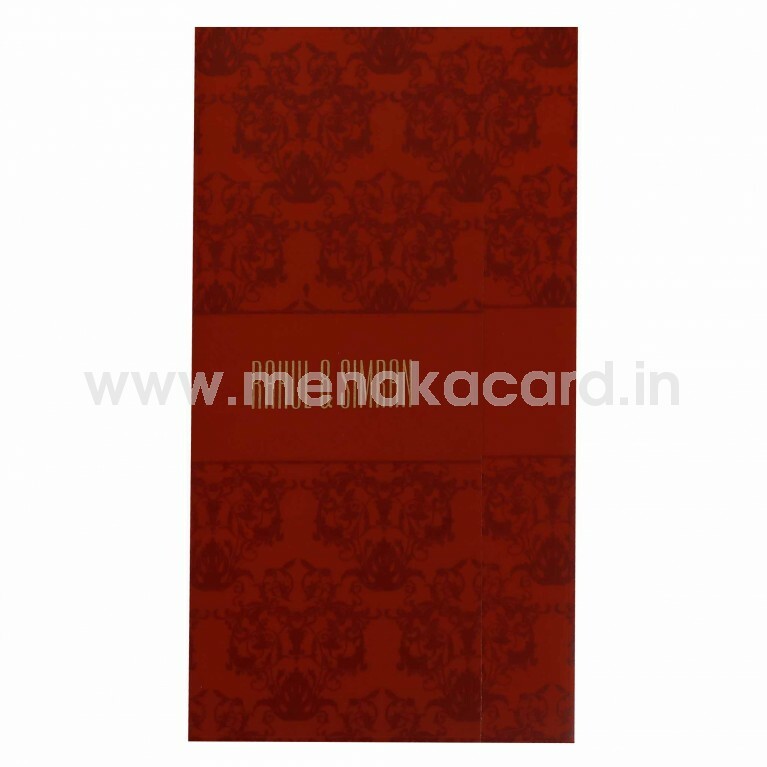 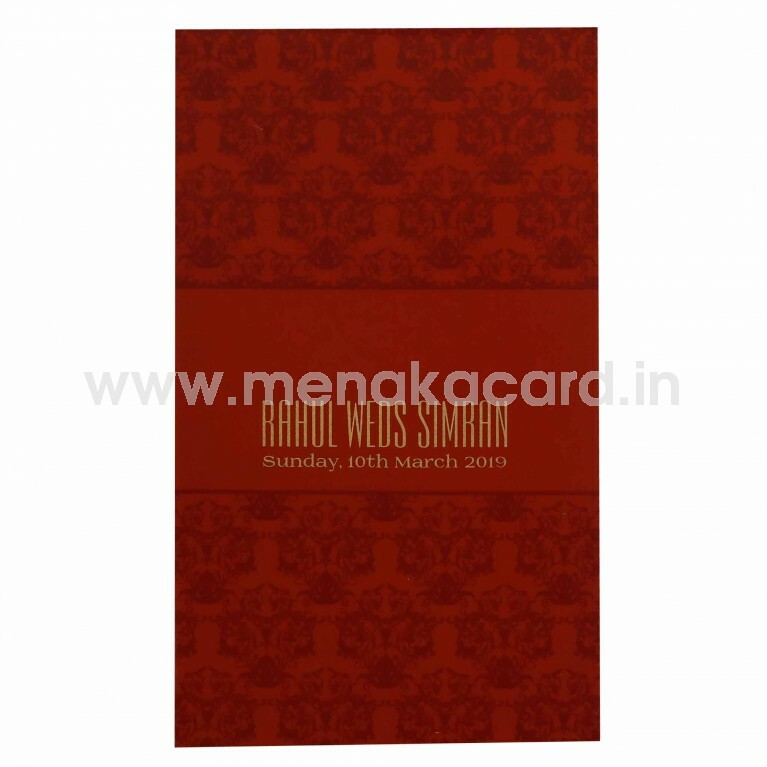 This royal maroon card is decorated with regal maroon lancer damask patterns all over the front with a solid band down the centre that holds the names of the couple in rich gold ink. The 2 default inserts of this door folding card sit inside a solid flap and can be made in cream, yellow, orange or green boards with contrasting ink. 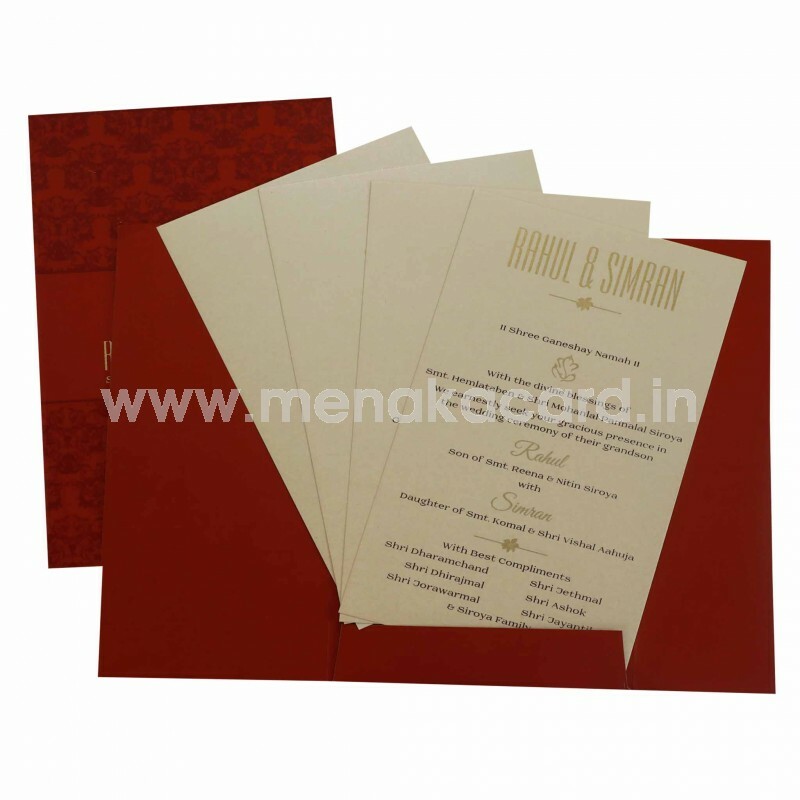 This can be used for Hindu, Christian, Muslim and Multi-faith weddings.